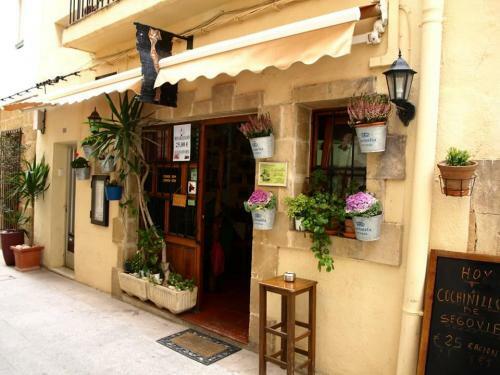 LA PARILLA DE CELLER is a well-established restaurant located in the heart of the historic centre of Xàbia just a few steps from the main door to the ancient church of San Bartolomé. For more than two decades, it has offered a wide range of carefully selected meats, cooked fresh to order and served in the comfortable atmosphere that encourages diners to return again and again. 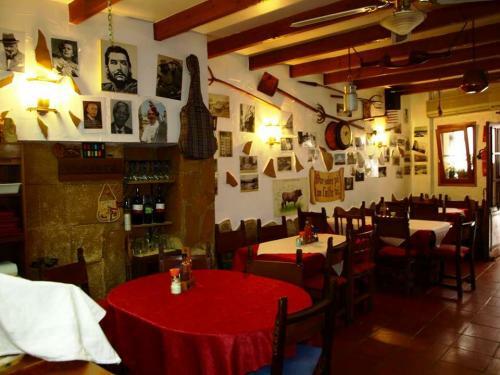 The restaurant's rustic style is one of its charms with old black-and-white photographs of Jávea on the walls alongside various farming tools and motivational messages that tend to involve the consumption of wine. It has also become renowned for its 'wall of notoriety', a collection of portraits with a stunning difference! 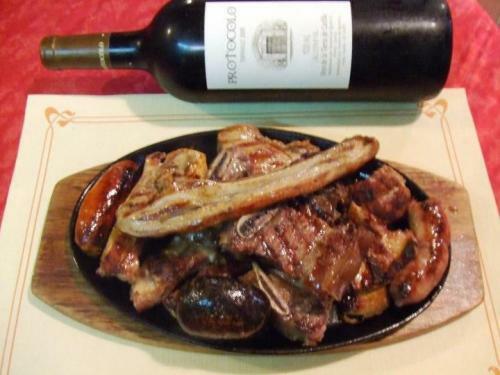 The menu is certainly based around meat with some excellent cuts that one tends not to find in many other restaurants in the area. 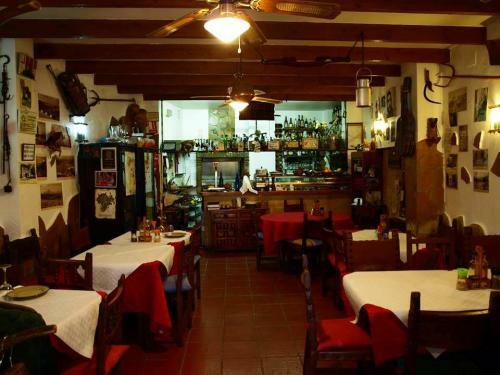 Almost everything is cooked to your liking on a barbecue grill behind the bar and then served to your table on a sizzling hot plate. Cuts like ribs, chops and cutlets can be ordered individually so you can have as many as you like, depending on your appetite. Also on offer is the all-inclusive 'degustación menu' which allows you to taste a wide variety of meats throughout the evening, all served individually and a regular intervals in the centre of the table, perfect for tables of friends to enjoy together. The price includes vegetables and potatoes, drinks as well as dessert. There is an excellent range of wines from across Spain and Pepe is able to advise on the right wine for the evening. And keep an eye out for the special wine-tasting events that are held on occasions throughout the year. 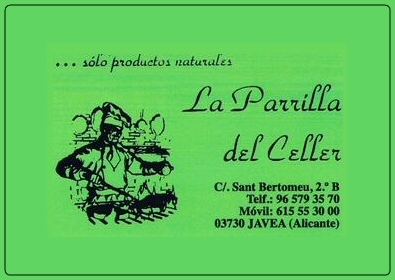 La Parilla de Cellar also offers an all-inclusive DEGUSTACIÓN MENU for 35 euros (June 2016). Love this restaurant and Pepe is the perfect host!